Includes an upgraded regular, draft tower, and co2 tank all at no additional cost - a $25 value! If you've been wanting to make the switch from bottling your homebrew to serving it straight from the keg, this HBK209S-1 Homebrew Kegerator from Kegco is the solution for you! Storing and serving your home-brew using the HBK209S-1 allows you to control and adjust your brew's temperature, hide the keg away neatly within the keg cooler cabinet, and control how much or how little you serve at one time. At your next dinner party, backyard barbecue, or game day viewing, don't just serve your friends and family beer from a boring bottle... wow them with a frosty glass of your very own home brew from your impressive new home-brew kegerator! At Kegco, we want to make the entire homebrew dispensing process as user-friendly as possible! That's why we've included a specially designed direct draw kit that comes with everything you need to start using your new kegerator, and have filled it with complimentary upgrades like a corrosion resistant CO2 cylinder, double gauge regulator, and polished stainless steel draft tower for a $25 value. The sleek and modern HBK209S-1 features a black cabinet and stainless steel door that fit in easily with your home's other decor. 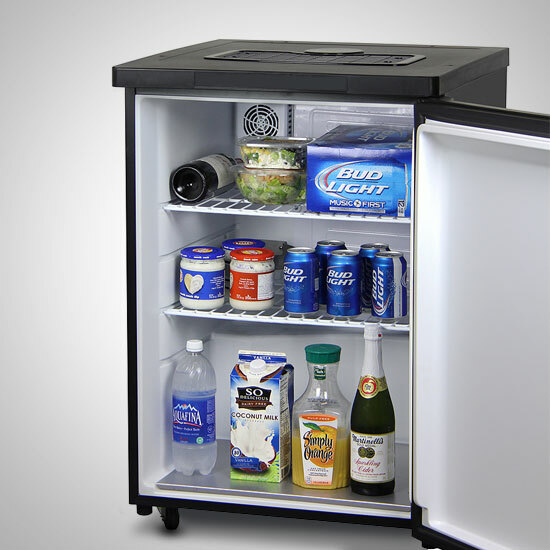 Mounted on four locking casters, the kegerator can be conveniently re-located to nearly any room in your home to deliver delicious home-brewed beer to any party or get-together. 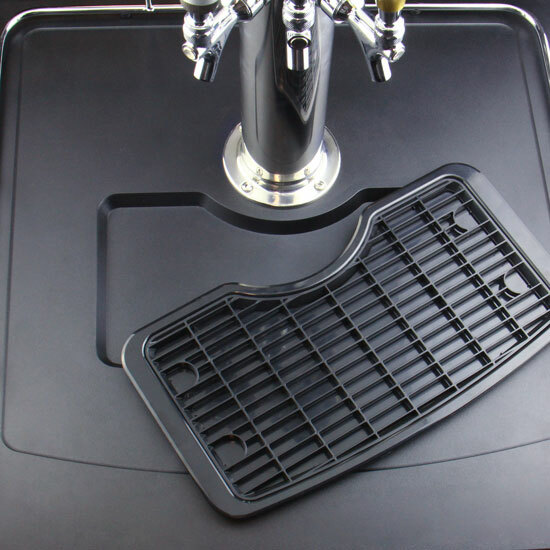 A removable, flush-mount drip tray catches the inevitable drips and spills to make clean-up hassle-free. 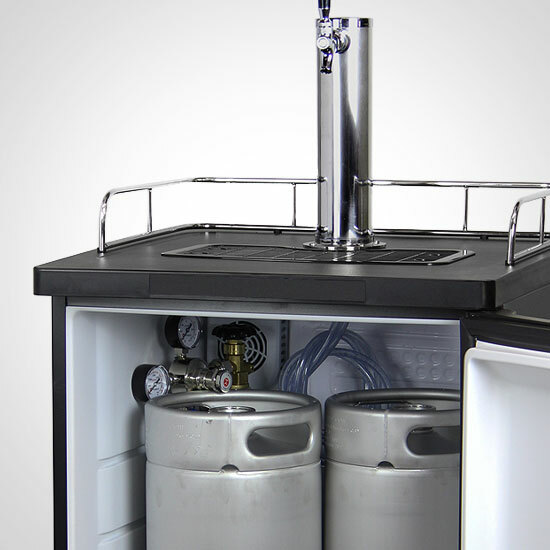 When you aren't using it to store and dispense your homebrew, this kegerator comes with two removable racks that allow you to convert it into a regular refrigerator, providing extra refrigerated storage space for foods and other drinks.